To make up your mind is the first step of anything. If you do not know what you what/how/when/why; then you may not be able to design and implement your plans. Should I go for graduate studies? Is there any advantage of pursuing graduate studies? Am I eligible for graduate studies? What the best choice-job or graduate studies? What the future in graduate studies? Following suggestions will help you to decide whether you should pursue higher study or not. Don’t take any decision out of frustration. NOT everyone needs to go for higher studies. Never confuse immigration with higher studies. When you want to pursue a M.Sc. or Ph.D., you should consider the after study-job/immigration opportunities, but NEVER go for higher studies just to leave the country. Check your academic qualifications and typical qualification of an applicant [you can get idea about this after reading the document]. Discuss with senior graduate students about the responsibilities of a graduate student. Check if those things seem interesting to you. Determine your aim in life depending on your academic qualification, financial status, family issues and overall your own desire. How goal oriented am I? How strongly do I care about the career I am considering? How important is an advanced degree to my future career track? How hard am I willing to work? Can I motivate myself to study intensively at this time? How willing am I to live with fewer comforts and less financial security than I presently enjoy? Do I have the aptitude for and intellectual attraction to the field I am contemplating? Did I enjoy my undergraduate academic experience? Am I ready for more focused, intensive academic work? Do I have a good understanding of various graduate and career options? Have I done enough exploration to feel confident about the choice I am making? Greater earning power. This is a common reason why people go to grad school. However, it should not be the only reason, since getting a grad degree is a very serious commitment. Advance your career. A grad degree can open up a wider array of career opportunities: psychology, social work, healthcare. Career change. Many people are finding their current careers unrewarding. An advanced degree can help transition to another career — whether out of desire or necessity. Enhance your education. Graduate schools can provide opportunities to explore theories you may have about a topic. Get community recognition. If you explore your theories and discover something new, you will get recognition for it. Get international recognition. Carry that recognition further. If your discovery is truly groundbreaking, you may receive international recognition, not to mention awards. Who knows — maybe you have a Nobel prize within you. Get research opportunities. Even if you do not get to explore your own theories, there are other opportunities to participate in funded research. Upgrade your education. Your knowledge of your field is outdated and you find it difficult to keep up with advancements without following up and getting an advanced degree. Find teaching opportunities. Not everyone is suited to teaching, but for those who are, getting a PhD can lead to a tenured position at a university or college, with a nice salary, a teaching or research assistant to help with workload, consulting opportunities (partly shared with your department), and a nice pension upon retirement. Work on advanced projects. The computer scientists who delved early into computer graphics set the standards for much of the CGI technology used in movies today. Access to advanced equipment and tools. In a similar vein, entering a grad program could mean having access to advanced equipment on campus — such as the astronomy lab, supercomputers, rare books, and even great minds. Higher potential for future promotion. While obtaining a graduate degree does not necessarily always lead to a high-paying job right away, it can open up opportunities for future promotions. Not being stuck behind a desk. If you have the necessary education to qualify for a high-ranking position in your chosen industry, it means that you often have the option of not sitting behind a desk all day. You might go meet colleagues or clients, travel, or even play golf in the afternoon on a nice day. Employer incentives. Some large corporations have funds set aside that will pay partial or full fees for qualified employees. Be part of a chain of knowledge. This doesn’t tickle everyone’s fancy, but just imagine that the knowledge handed to you by your professor came from another professor who learned it from someone who learned it from a famous scientist or philosopher. You become part of a chain of knowledge. Because you want to. To learn, to think critically, to accept the academic challenge. To stand out. By attending grad school and completing a degree, you join an elite segment of the population. Free tuition. In some cases, grad schools might not only waive your tuition but also give you a stipend for living expenses, in return for taking on the work of a teaching assistant or research assistant. Realization of interest. Not everyone realizes during undergraduate studies that they are suited for grad studies. Some of your professors might recommend it to you, and offer to supervise, with tuition waived and a research assistant position to cover expenses. Highly competitive. Graduate programs always have fewer spots than undergraduate programs. There’s competition for seats, research positions, grant money, and often as a result, departmental politics. Enables the “professional student” mindset. Some students just don’t want to leave school. One of the reasons for this is said to be a fear of going out into the workforce. Requires ability to set priorities. 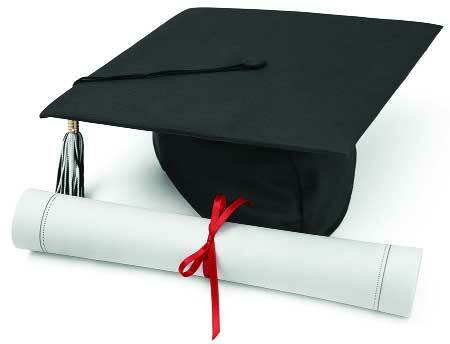 Successfully completing a grad degree requires a great deal of discipline and priority setting. This can be a strain on family and personal relationships, not to mention yourself. Relationship strains. If you’re married, housing might be an issue. You might be offered a grad/research assistant position and free tuition, but no accommodations for your spouse in campus housing. Stressful. Emotionally exhausting. Completing a graduate degree, especially a PhD, requires emotional maturity. Writing a thesis. Some grad programs require writing a thesis on a topic that your degree supervisor picks out for you. Writing an original thesis is not easy, compared to course work, and is often the reason grad students take a lot longer than program duration. Each semester you delay might mean a “penalty” fee in the form of extra tuition that has to be paid. Requires support. You might need a strong support network to get through emotionally, when your thesis research is going nowhere. Might take 2–7 years of your life. Not everyone finds they can complete a grad degree in the typical one or two years. Personal obligations often intrude, or lack of finances makes it difficult. Or your supervisor doesn’t like your research. This doesn’t even factor in the costs and how long it might take to pay back loans. Extra cost of education. Graduate schools can be very expensive. If you are not going to work during your studies, or will not receive an assistant job and waived tuition fees, the cost of your education is going to mount. Graduating with a large debt. This state of financial affairs might push you into accepting any job after graduation, out of necessity. No guarantee of higher salary. Getting a grad degree does not necessarily mean you’ll get offered a job with a much higher salary than you are getting now. Return on investment might be slow. Even with a higher salary, how quickly will that offset tuition loans and the zero or negative cash flow due to not earning while studying? Limited job opportunities. If the degree you get is in an academic field, finding work outside of teaching or research may be difficult, and thus not necessarily worth it to you. Undesirable job locales. Teaching positions offered after graduation could be in areas you simply don’t want to live in. Obviously, you may want to pursue your higher studies on your undergraduate subject. However, not everyone may feel like that. Some may want to switch or go to different but relevant subjects. In those cases, you have to a lot of research on the criteria for admission on those subjects. However, in life, you may not always get what you like, so sometimes second best is the best option. How to Choose a Graduate Program? 1. Does the structure of this program fit my personal academic style? Are you good at taking tests, or would you rather be graded on papers? Do you like a lot of formal class time, or do you prefer individualized tutorials? Do you want a structured curriculum with lots of required classes, or do you want more electives that fit your interests? Do you look forward to student teaching, or do you want a research assistant post? Do you want to choose a sub-specialization early on in the program, or not? Check the program requirements carefully, and ask lots of questions. You want a graduate program that is tailored to your needs. You should also be aware that many programs expect you to write reasonably well, so brush up on your expository writing skills before you start graduate school. 2. Do I have study skills appropriate to this program’s level of difficulty? Most graduate programs require a massive amount of study. So if you aren’t good at hitting the books for several hours each day, day after day for an extended period of time, you might not be ready for this kind of program. If you are the type of student who starts studying for a class the night before the final exam, here is my suggestion: take an intense self-study course and see how long you take to complete it. Or enroll in a rigorous class that covers a lot of material over a period of several months and see how well you do. If you have enough motivation and self-discipline to successfully finish one of these “programs,” you might be able to succeed at graduate school if you focus on your studies. 3. Do I have the appropriate level of social skills and self-confidence needed to succeed in this program? Graduate school is not for the timid at heart. It is not a remedial program where you are coddled and slowly taught step by step in order to master any personal or professional deficiencies you may have. The staff may not care if you succeed, or even want you to succeed. So you must start from a position of relative strength, exuding confidence and focused purpose till you earn your degree. 4. Is my state of intellectual development advanced enough to succeed in this program? Many graduate programs demand a higher intellectual level from their students than undergraduate programs do. You will be asked to master the material you learn on a deeper level than you are accustomed to. Your professors will expect you to understand the implications of complicated theoretical problems in your field, synthesize other people’s work to solve those problems or offer new solutions of your own, and ask new questions. You will thus need not only to acquire higher-level knowledge, but also to attain an advanced understanding of your coursework as you progress through your years as a graduate student. You can prepare somewhat for this academic culture shock by taking undergraduate classes that demand higher-level thinking. Take courses that teach you how to do research in your field, that ask you to summarize and synthesize advanced or theoretical material. If you can, do some original research at whatever level you have obtained. 5. When I met the professors, were there some that would be good advisors? You probably won’t be able to deal with this question until after you start the program. What it boils down to is this: Choose your advisors carefully! They may make or break you. It’s best to find someone in your specialization who you both personally like and professionally admire; if you can’t, choose someone who you have high regard for professionally, and who you can tolerate personally. You don’t have to be, and probably shouldn’t be best friends with your advisor. Mutual respect and civility are what’s necessary. 6. Do I have a good knowledge of my strengths and weaknesses? This question is implied in most of the questions above. It is really the most crucial. Without a good knowledge of self, you will probably not succeed in graduate school. Indeed, you may not realize your own potential in your life generally. And if you do succeed in your coursework without this kind of wisdom, any happiness you attain is more a matter of undeserved good fortune than a result of thought-out, focused effort. M.Sc. or Ph.D. or MBA? It’s a tough question. For some engineering subjects, you can get a good job after M.Sc. And this also applies when you want to work in the company. If you want to be in academia, you have to a PhD. However, now-a-days, companies prefer PhD graduates if that involves drug research and development. However, in most of the Canadian Universities, Professors try to take international students as M.Sc. Because if you are good, then they can let you to convert to PhD (very easy), but if you turn out to be bad (not suitable for working in a Lab), they can give you an M.Sc. and POLITELY ask you to leave. My advice, don’t try for PhD unless you are overqualified. Try for M.Sc. which will increase your probability of getting an easy admission. (a) Is it Public or Private? (b) What’s the world ranking?